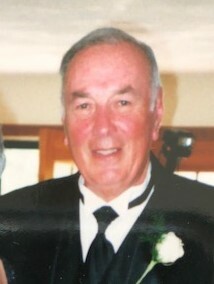 Obituary for Fred R. Bocchio, PhD | Nardolillo Funeral Home, Inc.
of Port St. Lucie, FL, formerly of Warwick, RI, passed away on February 3, 2019 with his family by his side. He was the beloved husband for 65 years of Diane (Sarcione) Bocchio. Born in Providence, he was the son of the late Carlo and Antonetta (Montecalvo) Bocchicchio. Fred was a retired professor of psychology at the Community College of RI and was a U.S. Navy Korean War veteran and a retired member of the RI Air National Guard. Besides his wife Diane, he was the devoted father of Scott F. Bocchio and his wife Denise of Winthrop, MA and Lori B. Read and her husband Dan of Chatham, NJ; and loving grandfather of Scott, Brianna, Danielle and Sophia Bocchio and Daniel and Michael Read. His funeral will be Wednesday, February 13th at 9:45 a.m. from the NARDOLILLO FUNERAL HOME & Crematory, 1278 Park Ave., Cranston, followed by a Mass of Christian Burial in St. Gregory the Great Church, 360 Cowesett Rd., Warwick at 11 a.m. Burial with military honors will be at St. Ann Cemetery, Cranston. VISITING HOURS are WEDNESDAY MORNING from 8:30 a.m. to 10 a.m. In lieu of flowers, memorial contributions may be made to: Treasure Coast Hospice, 5000 Dunn Road, Ft. Pierce, FL 34981.